So, you just came into a ton of money. Maybe it was a signing bonus for a major sports team. Maybe you won the lottery. Or maybe you cashed in your 401K (bahahahaha!). Regardless, it’s time to piss it all away. Luckily, these liquors will allow you to do just that. 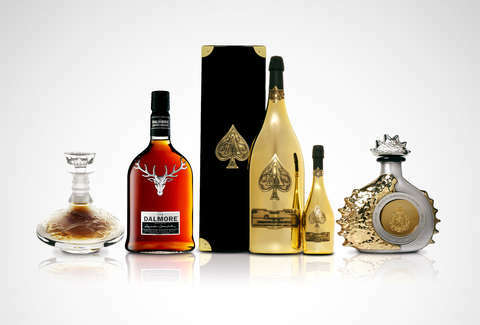 Behold, the world’s most expensive liquors. 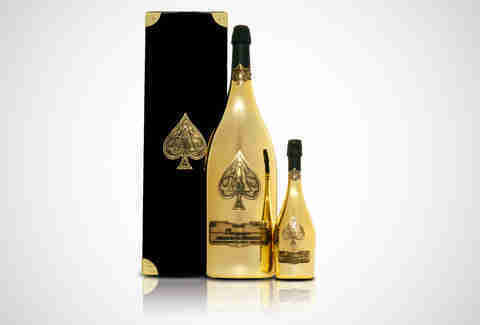 Owned by hip-hop mogul Jay-Z (of course), Armand de Brignac’s 30L, gold-painted Midas lives up to the hype. A regular bottle of Armand de Brignac Champagne would already be expensive ($300), but this giant bottle is the perfect bling for an all-night rave (and an amazing arm workout between sips). How else are you going to show that you have way too much money to burn? While Bombay Sapphire is high-quality gin, the bottle is the star of the show here. Artist Karim Rashid designed five unique bottles featuring Baccarat crystal and adorned with diamonds and sapphires. 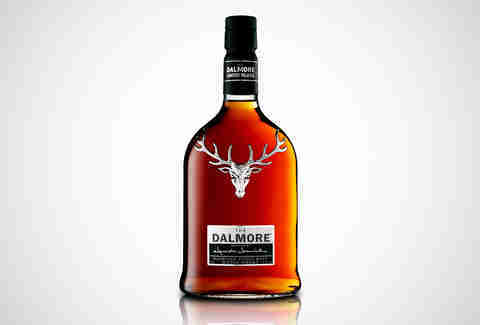 The second Scotch whiskey on the list, The Dalmore 62 is touted as of the most expensive whiskey in the world. First released in 2012, the whiskey spent 62 years in a cask before it was bottled. Adding to the price and rarity of this Scotch, Dalmore produced only 12 bottles of this expression. This might be a good investment: as people crack open these bottles, the value of an unopened bottle will continue to increase. Tribute to Honour is the Royal Salute Master Blenders' homage to the crown jewels of Great Britain: the Honours of Scotland. The whiskey itself is a blend of Royal Salute’s rarest offerings, the youngest of which was aged for 45 years. The price comes from the rarity of the Scotch as well as the bottle itself. Covered in over 400 white and black diamonds, Tribute to Honour is truly a regal whiskey for anyone flush with cash. The Macallan is one of the most iconic Scotch brands in the world. It’s known for its massive collection of rare, aged whiskeys. In honor of the 150th anniversary of the birth of famed crystal artisan Rene Lalique, Macallan decided to create a one-of-a-kind bottle. The whiskey was aged for 64 years, making it rare enough. But, since Macallan made only one bottle of this offering, you might have to fork up more than $460,000 to take it home with you. You might be wondering how a vodka could possibly have a price tag of $1 million. Sure, it’s tasty: it’s made with natural spring water, triple distilled, and filtered through charcoal before being filtered through sand that was made from diamonds and gem stones. Oh, also, the bottle’s adorned with a glass center area that is chocked full of diamonds. That’s why. 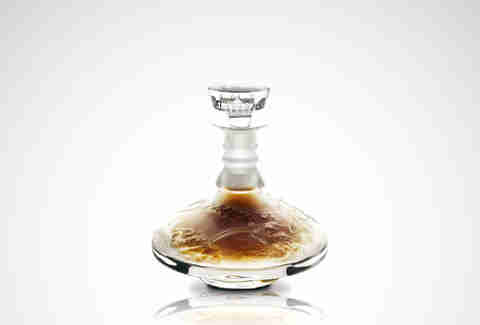 One of the rarest Cognacs in the world, Henri IV was aged for a jaw-dropping 100 years. Named to pay homage to King Henri IV, the only thing rarer than the Cognac is the bottle itself. This sterling platinum and 24-carat gold bottle is covered in over 6,000 diamonds. 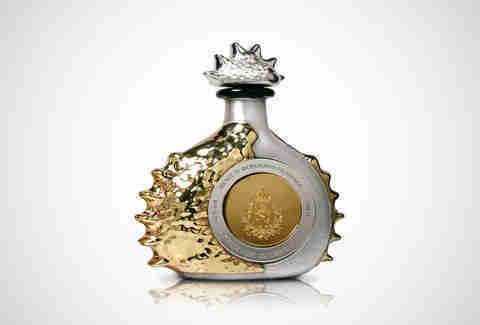 The most expensive tequila in the world, Pasión Azteca is priced the way it is because of the extremely fancy bottle. Purportedly containing 4-year-old aged Anejo tequila, the platinum and white-gold bottle is adorned with 6,400 diamonds. We’d recommend springing for the fancy, organic limes.